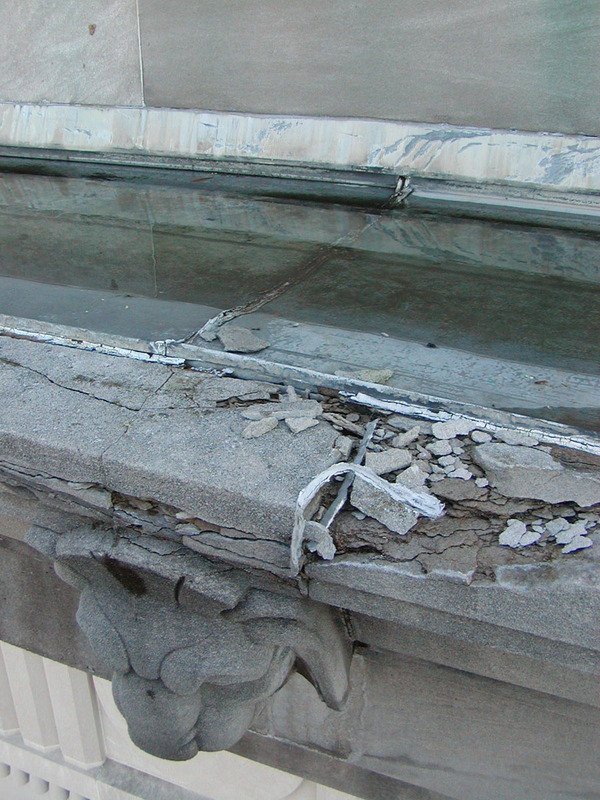 Best practices in terms of diagnosing building problems requires that you get up close and see everything, keeping in mind that most visible deterioration is a symptom of underlying causes. But accessing problem areas hasn’t always been an easy or inexpensive option. For example, at Christmas time 2003, we were called in for an emergency life safety assessment at the Department of Commerce Building (DOC) in DC. It took a week to organize the effort and thousands of dollars to rent three 120’ lifts that could place us at the right spot 80’ in the air. 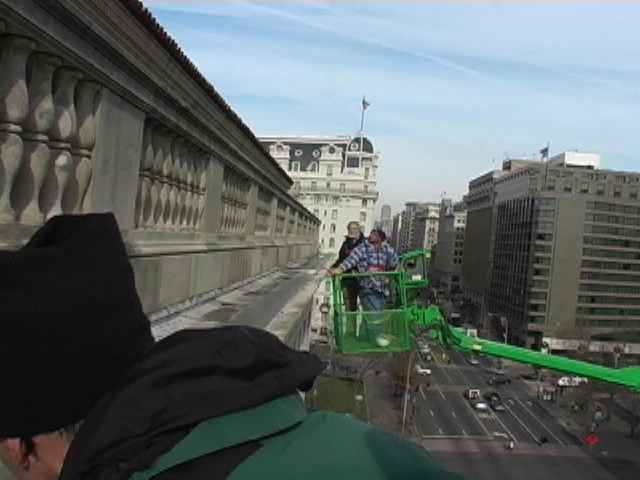 Here we are driving down 14th St between Pennsylvania and Constitution Avenues to determine the cause of large pieces of stone cornice crashing to the sidewalks below. While inspecting the gutter detailing, we found skyward facing joints and popped seams (the gutter had 75’ runs between expansion joints). Needless to say this inspection was extremely expensive and caused significant traffic disruptions. At the Empire State Building constructed just a few years before DOC, our investigations had confirmed the use of ferrous fasteners. 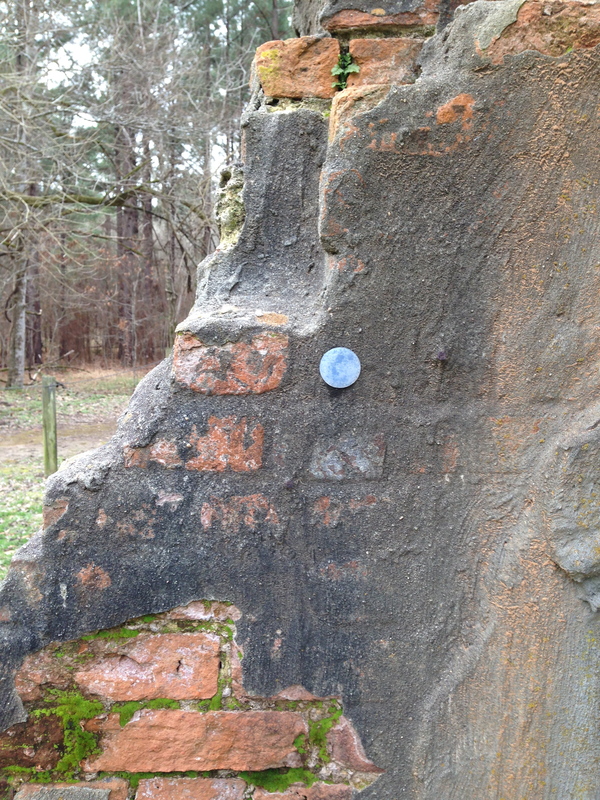 Corrosive expansion of these fasteners was jacking the stone apart, allowing rainwater to enter and freeze. 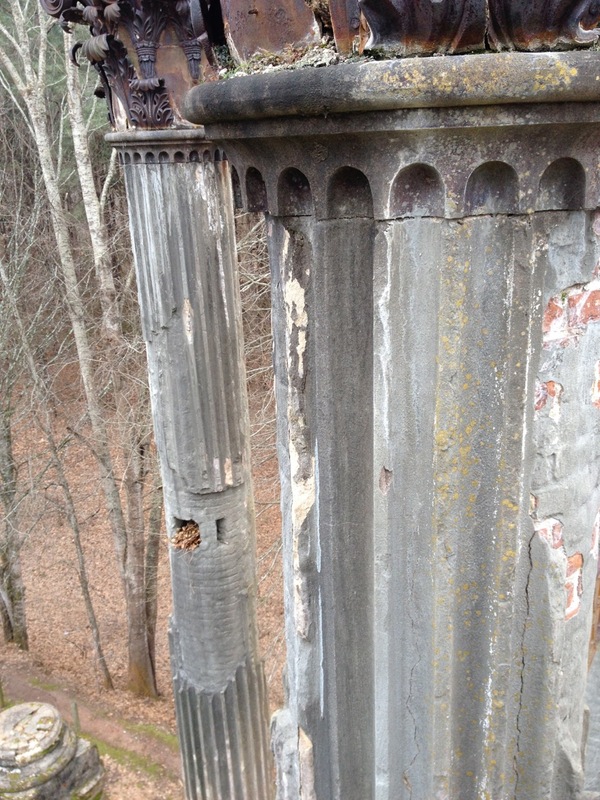 By partial dismantling of one damaged section of DOC cornice we confirmed that the fasteners were bronze and stable. Water leaking into the cornice from the bad gutter design had finally undermined the structural integrity of seven stones that had vertical bedding planes. Another way to inspect from above is to rappel down. This requires a lot of planning and safety harnesses. 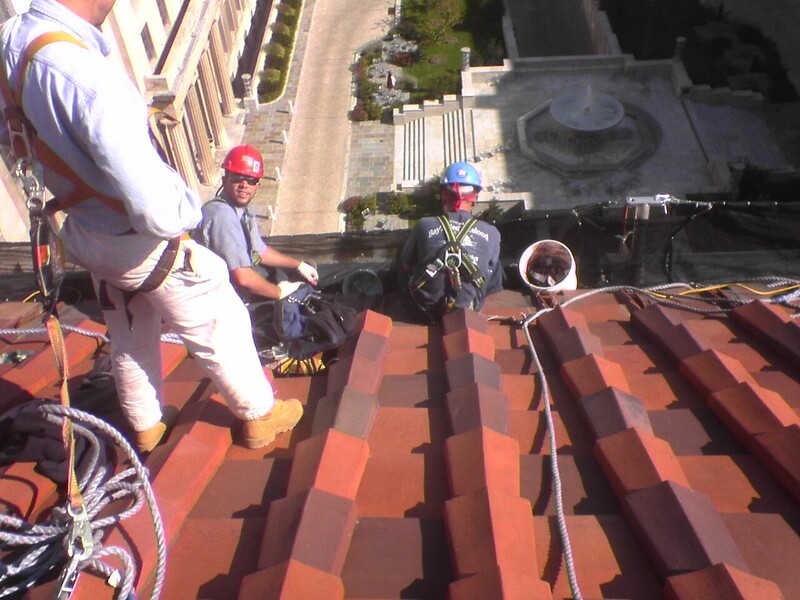 However, the risk of damage to the roof from this sort of work needs to be carefully weighed. The value of high-end optics like a Leica spotting scope should not be ignored. 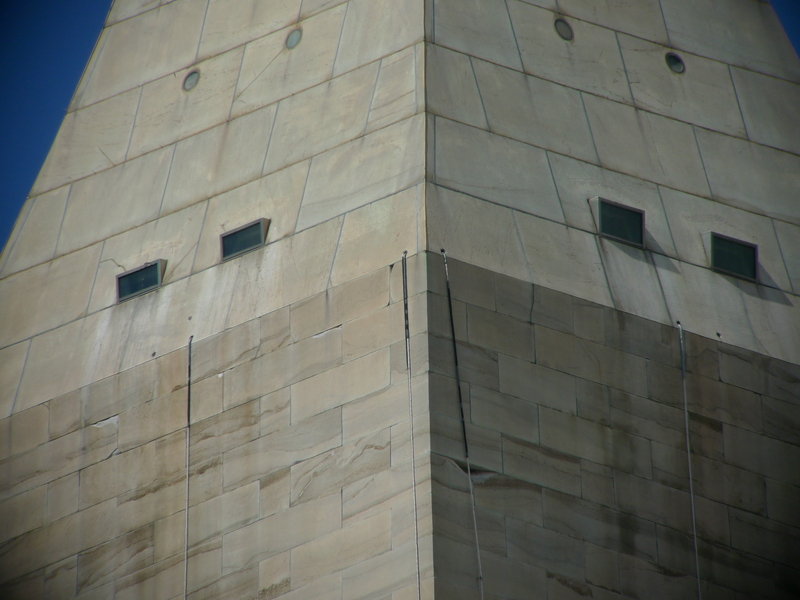 In fact from a 1/3 of a mile away we can see the joints and cracks of post-earthquake damage on the Washington Monument, as well as the see the construction crew building the scaffolding for repairs. Early inspections are important for prioritizing funds for projects by reducing the number unknowns going in and the more you know ahead of time, the fewer change orders later. 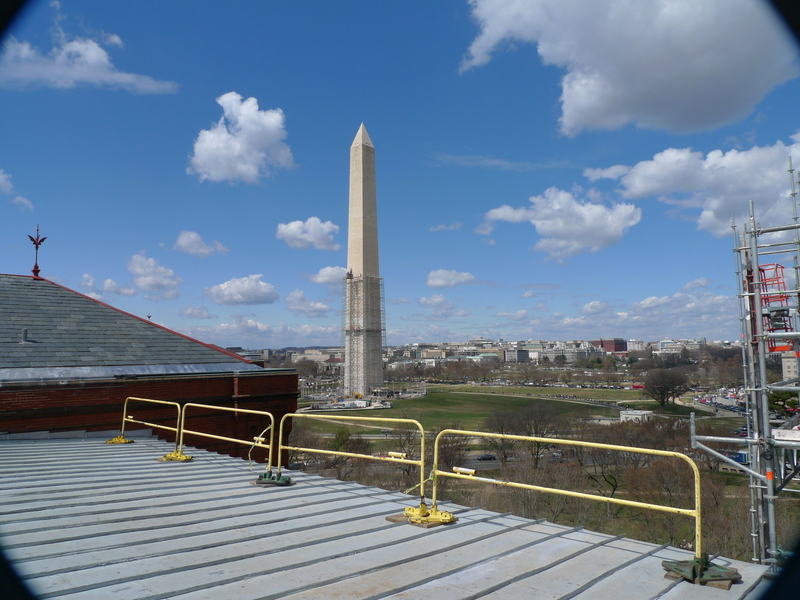 If you want to see more about the benefits of taking the visual inspection through to an in-place mockup to reveal all of the conditions and streamline the process of repair to significantly reduce costs, take a look at this project summary. 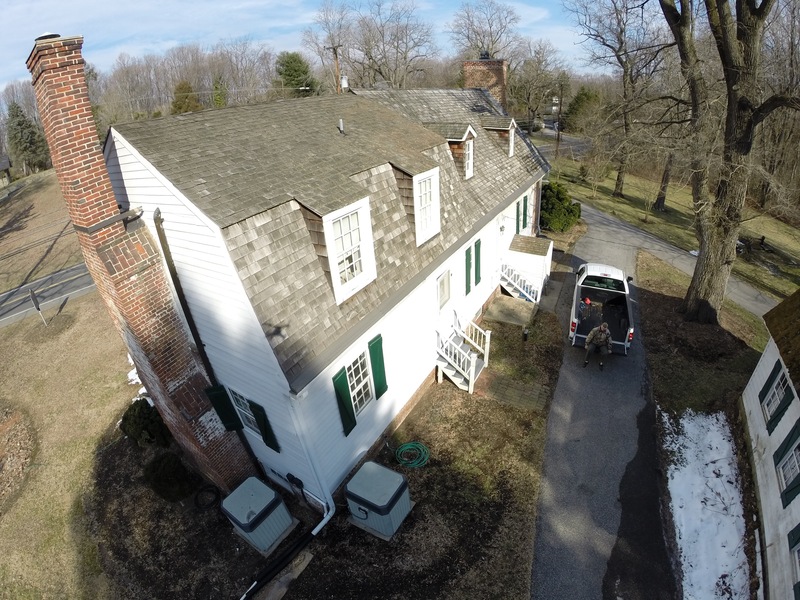 Even more for smaller but important buildings without the benefit of large funding sources, it is important for us to find practical ways to get to the necessary information to diagnose problems. 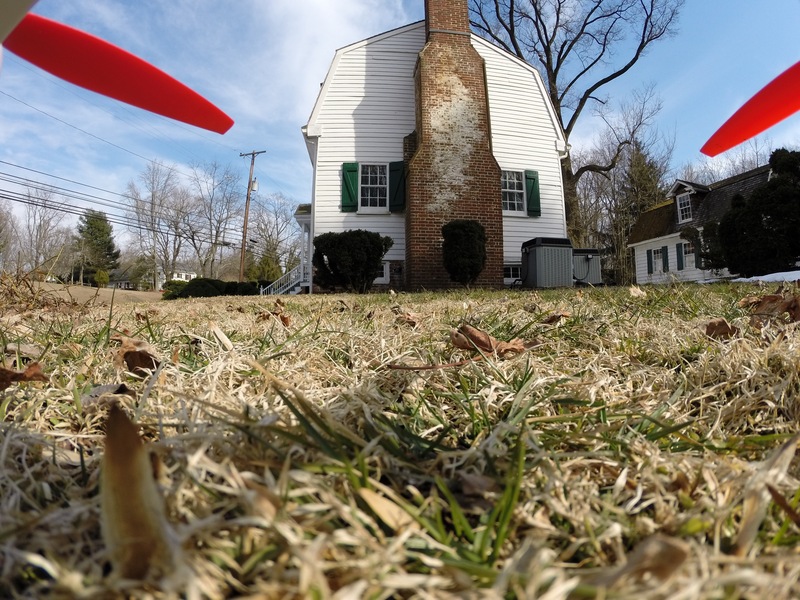 For example, how can we help the retired homeowner trying to care for their historic house on limited funds? Do we tell them that to inspect their chimney will require lifts (if accessible to the site) or $6,000 in scaffolding just to access the chimney, not knowing whether based on what we find they will even be able to afford the full repair while the scaffolding is up? Or do we find better alternatives to get at this information? With all of the distressing news about drones from surveillance to delivery of packages both deadly and from Amazon, we’ve been thinking a lot about this technology. 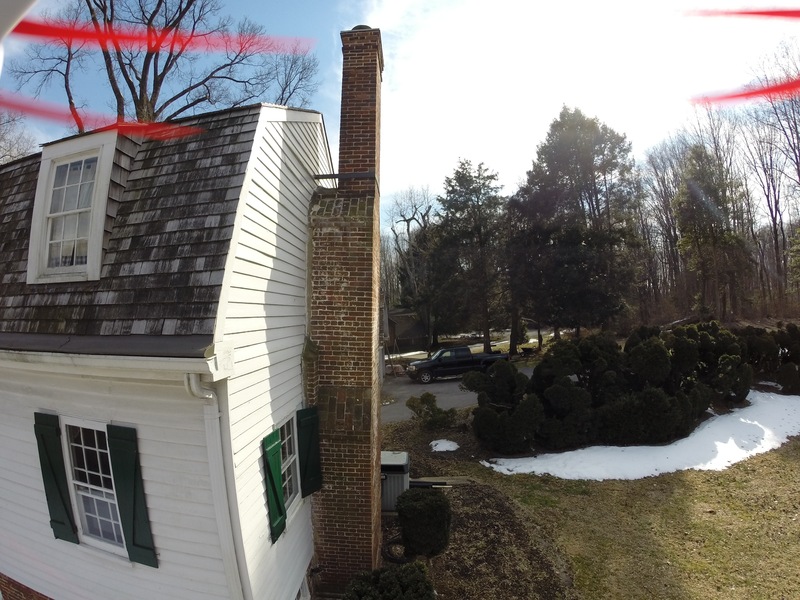 Despite reservations, it might be the ideal solution to determine roof condition, gutter function, whether chimneys are capped and the state of roof-to-chimney intersection flashing … as these are crucial in designing a project. click here to view a short video in action. 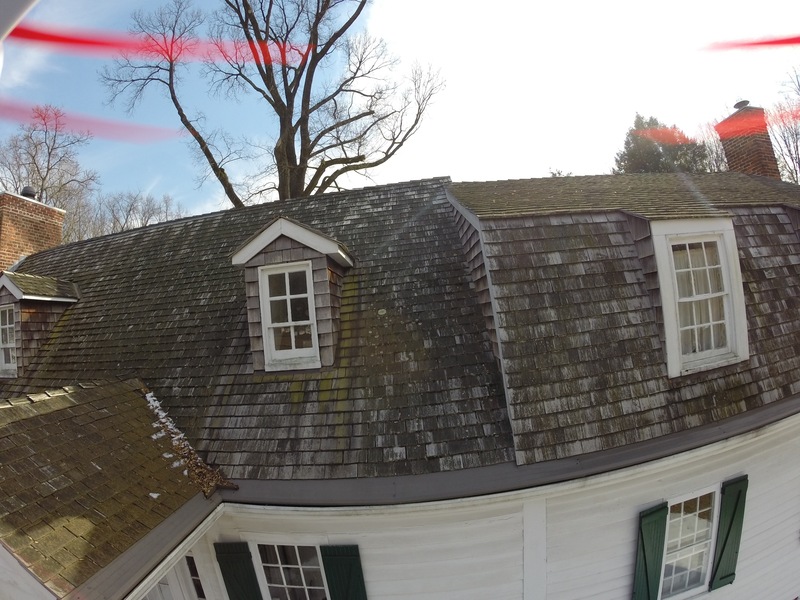 It was important for us to see how the roof on this 1753 house was fairing after several brutal storms and some earthquake damage. 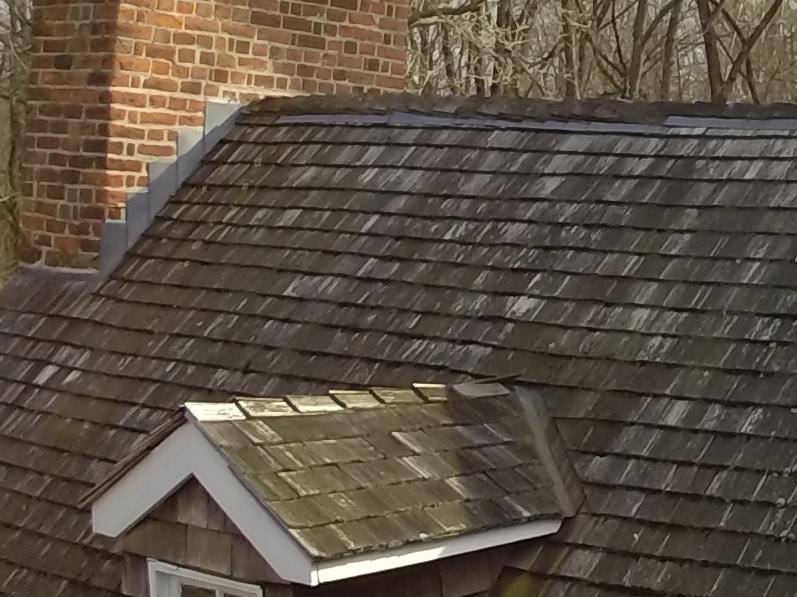 In fact within minutes we found missing ridge shingles and some loose flashing. 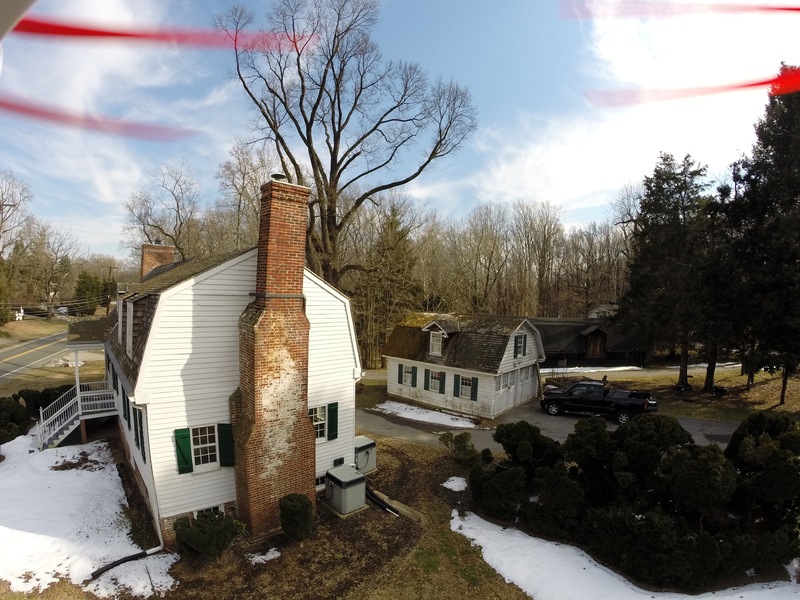 We are in the early days of our experience with using a simple helo and high-quality video, but you can see here how effortlessly we were able to assess both the existing conditions of this house ruins and its surroundings. 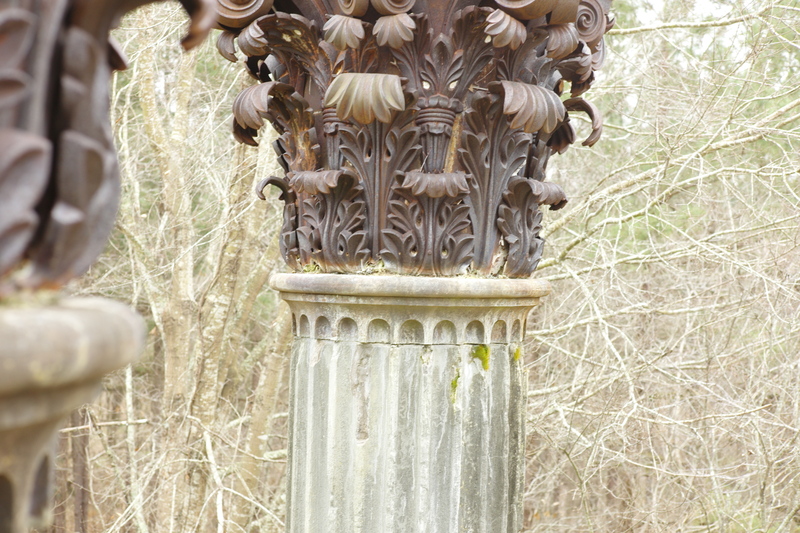 We quickly learned that although the capitals are filled with concrete, it is cracked and taking on water which is deteriorating the cast iron further. (We also found these cement additions to be nicely signed and dated.) 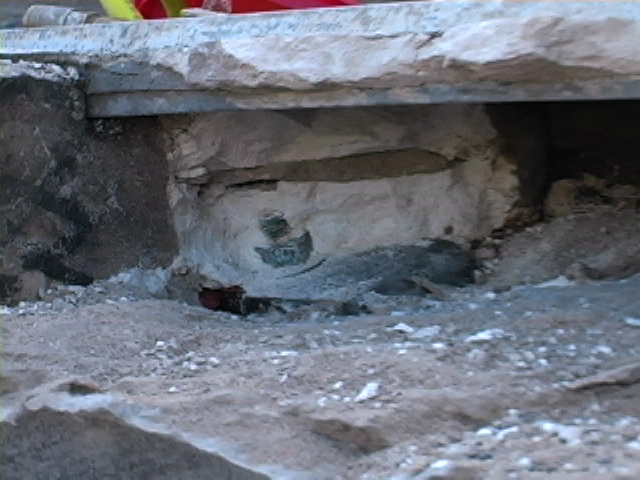 We were also able to discover original lime fluting hidden beneath the later cement wash. The brick columns cores, wherever exposed, proved to be in excellent shape. 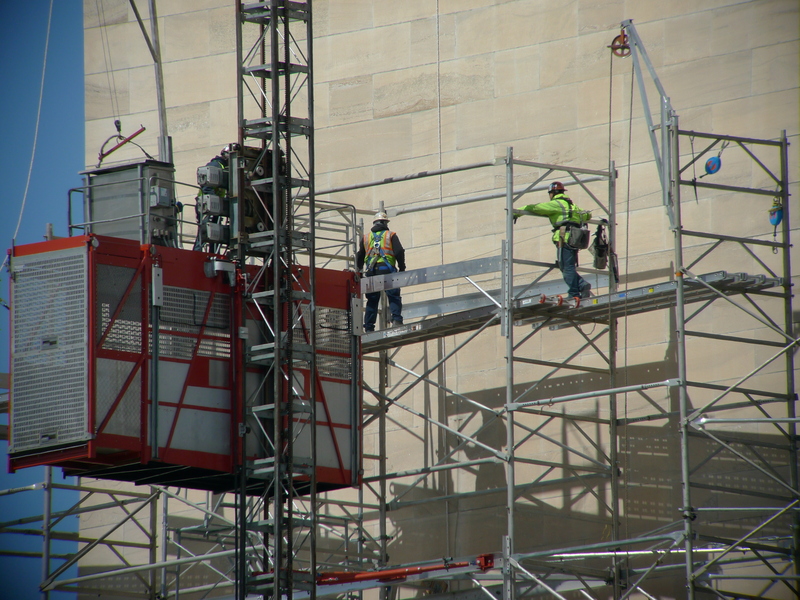 Going forward, we can see many additional uses of this aerial platform. 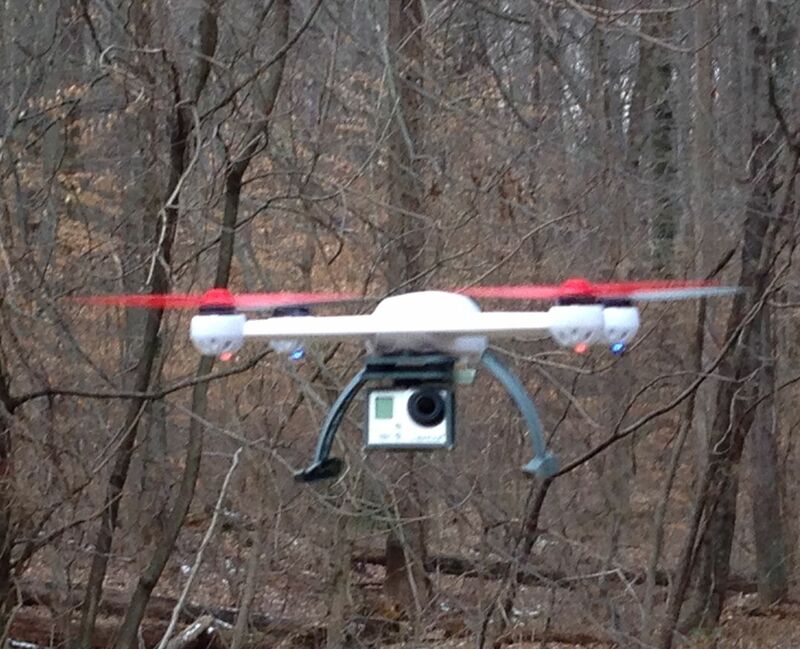 By the way it is controlled from the ground using GPS location and barometric sensors to stabilize the recordation and we are able to switch from high-frame rate video to high-definition stills in flight while viewing the progress from our iPad or iPhone. Not unlike the lunar module collecting information on the moon, before long I’m sure we will have helos carrying instrument arrays for organic and inorganic sampling. For now I’m aiming to start having my little helo deposit gel sampling disks that indicate types of biological material and chemical components of staining. 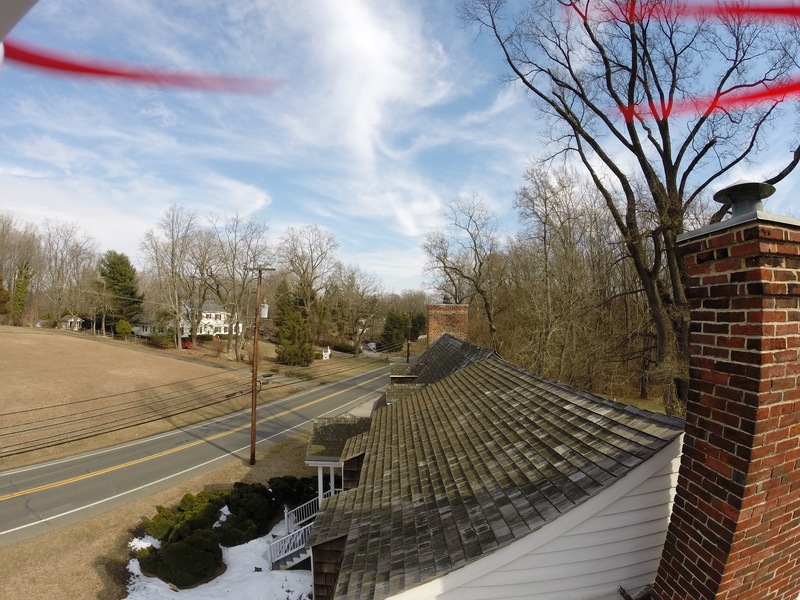 This entry was posted in Uncategorized and tagged diagnosing building problems, drones, drones in preservation, gel sampling disks, preservation, preservation inspection. Bookmark the permalink.